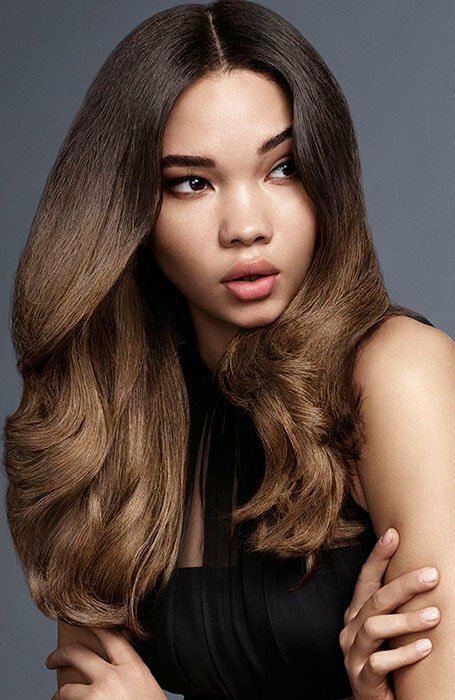 When it comes to hair colors, balayage has been the biggest trend of recent seasons, and it isn’t over yet. The technique, which involves highlighting hair by hand-painting sections against a backing board, is set to be bigger than ever in 2017 with more options than before. No matter if your locks are blonde, brunette, black or red, there’s a chic balayage option to suit you. 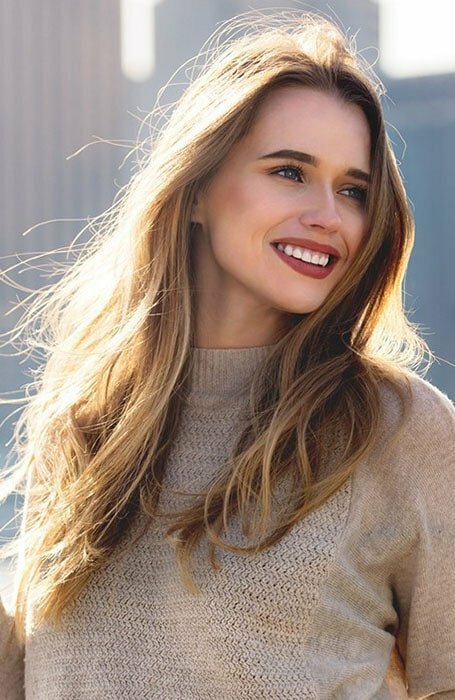 Perfect for creating a graduated and natural-looking style, balayage leaves ladies with dimensional and radiant-looking hair. So, what are you waiting for? 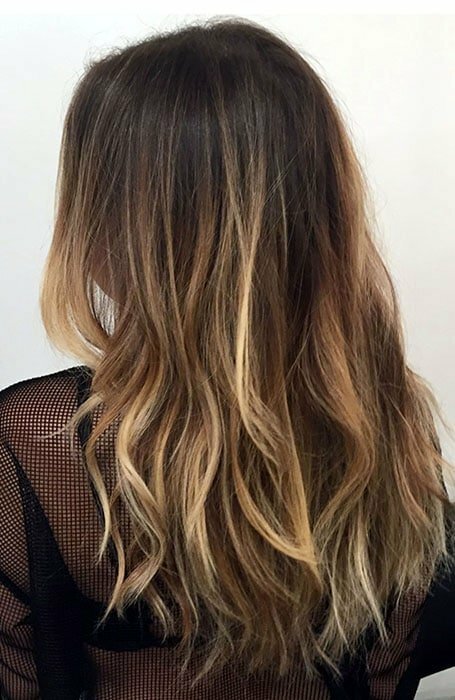 Just click through to find the best new balayage option for you. This awesome ash purple balayage is edgy and bold. Pair it with a rebellious attitude for a super stylish look. 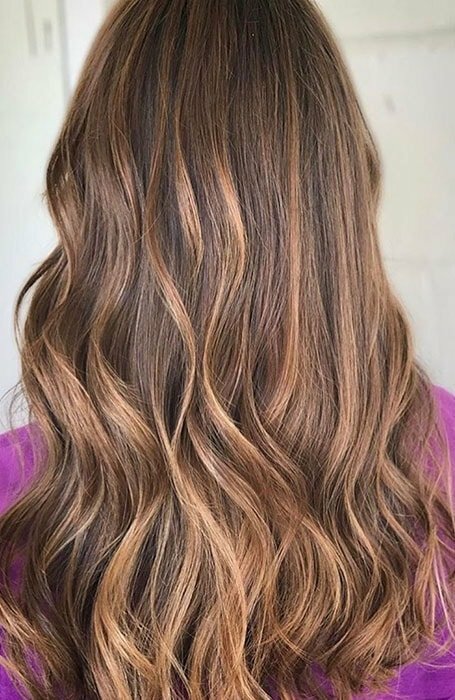 Babylight balayage is a great way to lighten and brighten hair in a natural-looking way. The delicate highlights create a gorgeous, youthful and dimensional appearance. This sandy blonde balayage has a great “beach babe” feel. The warm ends add a certain radiance to the naturally blonde base. Painting “bronde” strokes through brown locks is a great way to lighten a dark head of hair. While traditional highlights can also work, balayage often has a more natural appearance. 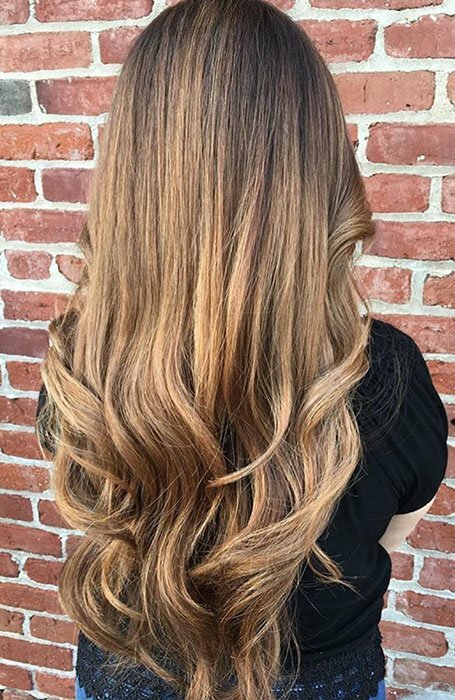 This wonderful brunette balayage look features honey highlights. When placed around the face, light strokes, such as these, have a lovely framing effect that brings out facial features. Balayage is a great way to create natural-looking highlights. Just ask your colorist to hand-paint the colour on strands where the light naturally hits your hair to make it appear as if it were highlighted by the sun. Balayage highlights don’t have to be bold to have a great impact. Sometimes, all you need is just a few face-framing pieces to recreate your whole look. Long hair can sometimes appear too striped with bold highlights. Instead, opt for a stylish balayage like this wonderfully blended example. Instead of completely lightening black hair with an all-over color, try utilising some balayage instead. By adding warm brunette pieces, your dark locks will instantly appear brighter and more radiant. Dark brown hair looks great with both light brown and dark blonde balayage. Consider trying the former in winter and latter in summer for a seasonally appropriate style. This red and brown balayage style has a lovely sophistication. The mixture of tones creates a chic, auburn appearance that’s both rich and vibrant. Also known as flamboyage, balayage and ombre combinations are set to be incredibly popular this year. The technique, which blends the two coloring methods together, creates a brightened yet natural appearance. One of the best ways to breathe new life into black hair is to add some balayage. The addition of lighter hues, such as warm brunette tones, will transform your color without completely changing it. While blonde highlights can often appear too contrasting on black hair, blonde balayage can blend perfectly. Opt for a look that transforms from black roots to blonde ends for a chic style. A fantastic way to transition darker roots to blonde ends is to utilise both ombre and balayage techniques. The combination is perfect for hiding where one color ends and the next begins. Balayage doesn’t always have to be bold or two-toned. By simply opting for a hue around two shades lighter than your base color, you can create a chic look. Want your hair to appear as if it naturally transitions from brunette roots to blonde ends? Try this stylish balayage look. Caramel balayage is warm, radiant and beautiful. If you’re a brunette with a warm complexion, this look is for you. As well as looking great on brunette hair, caramel balayage is also a good option for ladies with black locks. This chocolate balayage look also has an ombre effect, transitioning from richer roots to lighter ends. This cool, blonde balayage look features icy strokes of color on an ash blonde base. It’s perfect for natural blondes looking to embrace a bolder hue or light brunettes seeking a drastic contrast. Copper balayage is a great way to update brunette locks in 2017. The result is an on-trend, warm red-brown hue. This deep and dark balayage look is rich and sultry. It features just a couple of golden brown highlights concentrated around the face to add lift and define features. This golden balayage contains a lovely hint of honey hues. Its warm tone can be used to lighten either dark blonde locks or light brown hair. This dark brown balayage is so subtle that it appears completely natural. With but a shade of difference between the base and balayage, the look gives a lovely sun-lit touch to dark strands. Adding just a touch of golden balayage to dark strands can have an incredible effect. The hit of light colour can instantly brighten your overall appearance for a sophisticated and stylish look. Grey hair is set to be one of the biggest trends of the year. If you like the look but feel apprehensive about going grey all over, try a chic balayage style, such as this, instead. Monotone blonde appears flat and dull. To give your light locks some more life, consider trying a balayage look such as this. 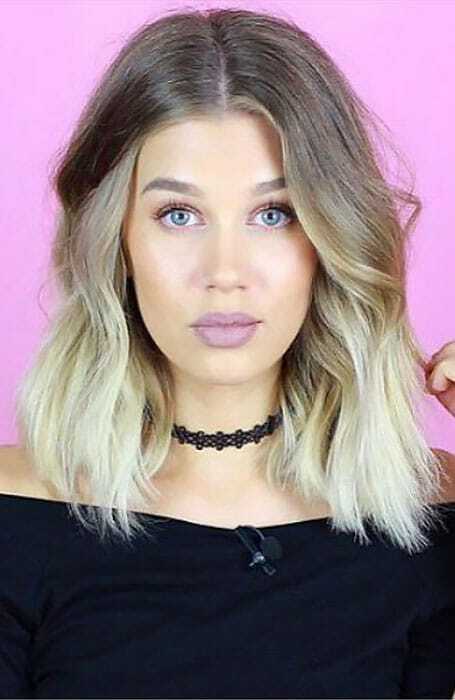 If you have light brown hair, blonde isn’t the only type of balayage you can try. This gorgeous rose-tinted look makes an excellent fashion-forward alternative. Go bold and try a balayage look out of the ordinary such as this stunning pink style. The look can work on any shade of light blonde hair but appears particularly striking on platinum strands. 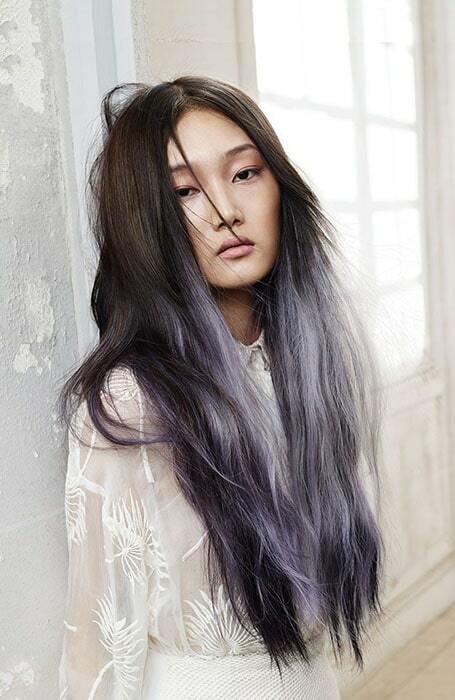 Purple can also create an incredible balayage hair colour. If you have dark brown or black hair, try a vivid shade of violet to create the perfect level of impact. Balayage isn’t just for blondes and brunettes. It can also add a gorgeous natural-looking dimension to red hair colors. For the most realistic results, start with a warm base of auburn or chestnut and add balayage in lighter tones of strawberry and toffee. 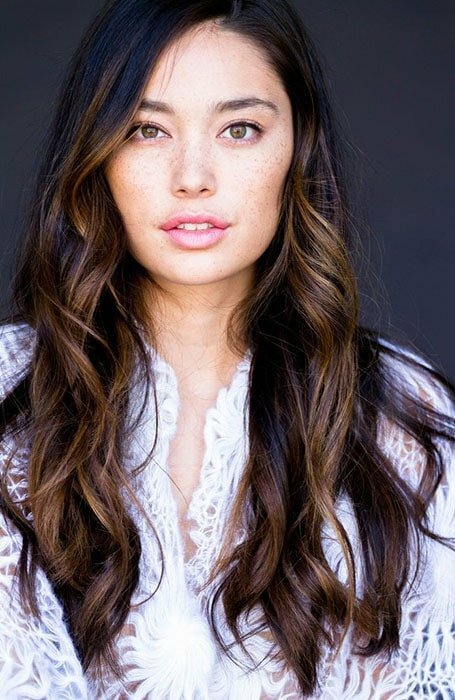 Add light brown balayage to medium shades of brunette for a wonderfully subtle appearance. The result will appear naturally sun-kissed and not at all fake. If you’re looking to take the balayage trend to the next level, consider trying a white version. The light hue will appear completely striking when applied to darker base colors like brown.